Last week I came to a fresh revelation about my walk with God…that I just can’t shake so I need to write it out. All of us AD. (After the death of Jesus) followers have a greater responsibility in our relationship in knowing God than the Old Testament saints because we have the Holy Spirit living, dwelling, and residing in us! This fresh revelation has caused me to feel more responsible to live a Holy life and to be more of a witness for Jesus Christ. The Old Testament saints had to be more concerned with being obedient to the law and making sure they atoned for their sins. Jesus personally gave us instructions. We know that we are soooo LOVED. We got to know the story about Jesus being the propitiation for our sins. We also know that the devil HAS BEEN defeated. A beautiful place has been prepared for us and we’ll never ever suffer pain or sorrow again. We will see God face to face. The best FYI that we have is that we will live and reign with Him forever!! Another advantage for us AD. Saints is that we have a Helper…the 3rd Person of the trinity who is The Holy Spirit!!!! We are NEVER alone. We also have a direct way of communicating with our Father God…..our Creator!! I feel a greater responsibility to live right and share my faith and go and make disciples. God gave us a GIFT…the Holy Spirit. I just want to do all I can for my Precious Loving Father! I don’t feel pressured to do stuff for Him I just want to because the more I realize what He’s done for my benefit…the more I want to go all out for Him. This life is very difficult at times…well many times…well really almost every day…BUT THE HOLY SPIRIT!!!!! Oh my Lord…I’m never alone and never without help!!! I pray for more boldness to speak up and go after the unsaved. I have the Holy Spirit for that task too!! I can also get really really close to God… in fact I can walk with Him all day every day!!! 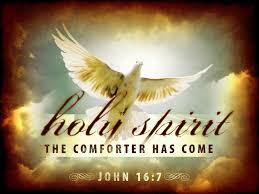 You guessed it…because the Holy Spirit has come on me and you too! Are you seeing what I’m seeing about what an advantage us AD. Saints have. We can get used to our privilege because it’s been a part of our lives for so long. But sometimes we need to sit back and take a fresh look at the all the blessings we have. I pray my fresh revelation will be your fresh revelation today. God bless you and keep enlightening you!!! The Holy Spirit revealed Himself to me when I sang in church today. I had to try not to cry through the rest of the service. I’ve never felt Him in this unique way. I’ve felt Him many time while singing before…but this time it was very different. You have to watch the video to see what I felt. I feel the Lord speaking to me very strongly. He is telling me to tell everyone about being filled His Holy Spirit. I believe the Lord is about to do something very big. Many people are praying for a revival…but we need to be open fully to God’s Holy Spirit. Since it is Their power (Father Son and Holy Spirit) that we are seeking for this revival. We should have our hands out and cupped…ready to receive from the Lord. We need the Holy Spirit…we need an outpouring. We need to educate ourselves about the Holy Spirit through God’s word and have an expectant heart. 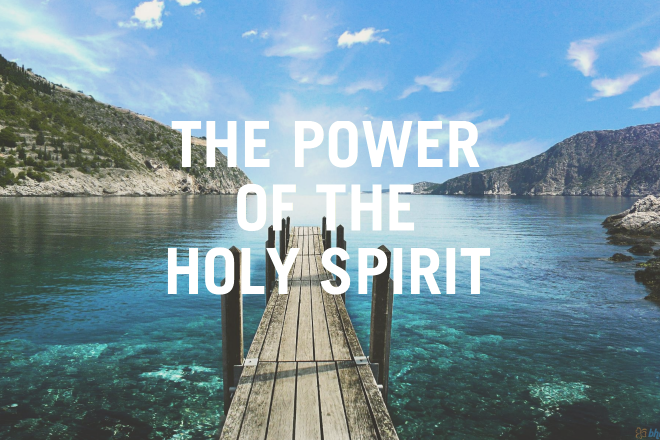 The Holy Spirit is powerful!!! I need more of Him You need more of Him! God is making this very clear to me to share……we need the Holy Spirit! We need Him today! Please…seek an outpouring of Gods Holy Spirit. Those who have ears listen to what the Spirit is saying. Oh My God!! 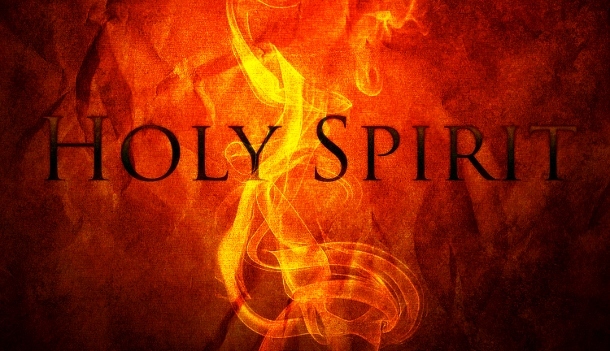 The Holy Spirit…thank you for Him! I have an very close walk my Lord. I have an incredible relationship with God. I love Him so much. I thank God for His Holy Spirit and I thank Jesus for making all this possible. You see…I was born bad to the bone. I was a worm, a retched soul. My parents kept mentioning the name of God and Jesus to me as a child. They took me to church and I learned more about God and Jesus. 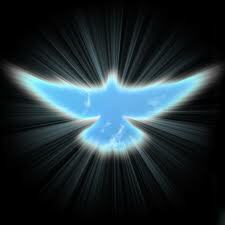 The Holy Spirit sent by God… was there to hover over me and whisper to my heart and mind the names of Jesus and God. This is why the names of God are so important! With the knowledge and power of those names and the drawing of the Holy Spirit…this is what confirmed who God was in my heart mind and spirit man. Then one day the Spirit of God led me to watch Billy Graham on our black and white TV and at the age of about 12 years old…I repented and invited Jesus to be the Lord of my life. The Holy Spirit opened my eyes that day. My eyes were opened to the reality of God, but my spirit was not open to completely surrendering myself to Him until 19 years later. That’s when the Holy Spirit finished the task of completely winning me over 100% for the Lord. From that day on the Holy Spirit was in control of my life and Jesus Christ is the head of my life. 1 Corinthians 2:10,11 these are the things God has revealed to us by his Spirit. When I read this I knew this was the way I was going to get to know God. So I closed my eyes…and talked to God about 8 hours day for 7 years straight. I told God to show me everything He could that was humanly possible to know about Him. I wanted to know what He was doing, how He was feeling, His favorite color…just everything about Him. He said He would never do anything to make me afraid of Him or the Holy Spirit. I’ve been on a great adventure with God ever since. I gave myself over to His will and the Holy Spirit took me over and showed me incredible visions and told me many things about God. I’ve had awesome experiences under the power of the Holy Spirit. I tell you this not to brag or so you can say crazy things like…ooh, she’s so anointed. I am nothing without God’s Holy Spirit in me. It’s all been for a purpose…to glorify God. I opened myself up to Him fully…so He came in. I’m a servant of the Most High and everything in my life is to glorify God and lift up the name of Jesus. I am a decreased individual! I am less and the Lord is more in my life. I know some people are scared of the Holy Spirit. If you are a born again Christian…the Holy Spirit is already living inside of you. But you can also be filled with Him. He will not do anything you don’t want Him to. God’s Holy Spirit is very gentle because God is sensitive to our feelings and so is His Spirit. God is in constant communion with me through the Holy Spirit and all I can say here is…OH MY GOD!!! 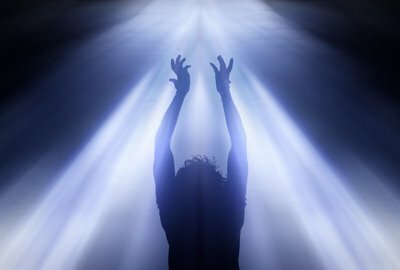 I can be in touch with the most holy and power being in the entire universe anytime I want!!!! OH MY GOD!!!! When I try to explain the greatness of God to people who are not a Christian…they don’t get it. It’s a mystery to them. The Holy Spirit of God is trying to speak to their heart about Jesus and His Father…but there is doubt, fear and rebelliousness and they shut their heart and minds down to His call. But the Holy Spirit of God keeps trying to reveal Jesus to them. Then one day after many attempts they are ready and they open their heart to Him. 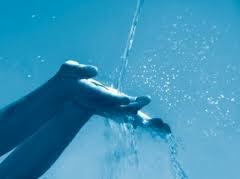 They see their need for Him and they want to be cleansed and spiritually healed. They want forgiveness. They need love. They need God. Once God gets in there…He begins the deeper life changing work. The Holy Spirit is the third person in the trinity and does His job in the new believers life. The Holy Spirit reveals the baby Christian with the milk of God’s word as he reads it and gives gentle little cleansing baths. He fights the enemy’s attempts to pull the new Christian back into their old life and gives this baby a lot of invisible hugs and kisses from the Lord so He knows He’s loved. As the baby grows, the Holy Spirit is constantly helping the child mature and He teaches Him the things of God. The Holy Spirit does so much for us Christians and He does all of this throughout our whole lives… until it’s time for us to go our home in heaven. OH MY GOD….YOUR HOLY SPIRIT!!!! Do you understand how much He is doing for you? Do you want to be filled by Him? Do you want Him to take over your life and guide you? If you are one of those who don’t know what to make of the Holy Spirit…I tell you He’s already at work in you so why not let Him have more power and authority in your life. If a doctor said…I have a pill that can solve all your problems and make you better than new… you would take it. The Holy Spirit is a million times better than that for you. Be filled with Him. You say how can I be filled? Ask God to fill you. Have a receptive heart and Mind. Have the right motive…which is to know or walk with God. Spend time privately talking with God. Have no fear about God and His Holy Spirit. Desire His love, His blessing and His Spirit. Why should you live with half of your blessing when we have the fullness of God for now in this life. Take full advantage of all of what God has for you. Life is difficult at times and we need all of God. God is not only there for the bad times…but the Holy Spirit of God can bless you with so much JOY in your spirit. The Holy Spirit of God reveals God’s happy side too. God is funny, sensitive, compassionate, affectionate and joyful. God showed me this side of Him in my prayer times with Him.. I could go on and on in telling all the great and amazing things about the Holy Spirit…but my blog post is getting to long. I have so much to share from my heart of my life experiences with Him. Have you ever said…Oh I want to know God more?…… the…HOLY SPIRIT……IS THE WAY TO….KNOW GOD MORE! Message for today: God’s Holy Spirit……………Be filled! Deuteronomy 5:4 The LORD spoke to you face to face out of the fire on the mountain. Luke 9:28-36 28 About eight days after Jesus said this, he took Peter, John and James with him and went up onto a mountain to pray. 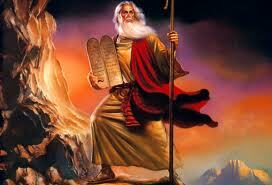 29 As he was praying, the appearance of his face changed, and his clothes became as bright as a flash of lightning. 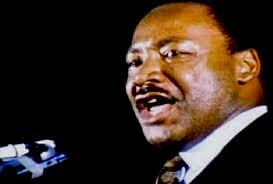 Martin Luther King said that he had been to the mountaintop, Moses was on the mountaintop with God, Jesus had a powerful prayer meeting on the mountain top…..mountaintop experiences…what in Pete’s name is going on up there? 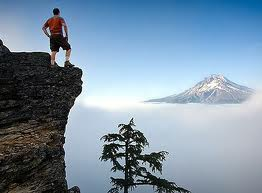 I have had many mountaintop experiences in the Lord and I love it up there. I never want to come back down. Whenever I go on a trip to Connecticut or Massachusetts I love to look out the window at the mountains. There is something majestic about them. People lose their lives climbing them. You know I’m satisfied just doing a drive by…..right?….that’s close enough for me. Just what is a mountaintop experience? Well I will share my interpretation and experience. It is a place where you are on a natural high in the Lord and He ministers to your spirit man….a state of extreme well-being and happiness that is brought on by the Lord through the power of the Holy Spirit. It’s a place that God allows you to be in for a season whether it’s a few moments to hours or even days at a time. You cannot make yourself go there or stay there. It’s the special anointing of God who can bring it on for any reason and the benefits are to bring you to a place of joy, excitement in the Lord and a longing for more of God. This mountaintop experience can come on you at times of prayer, reading scriptures, meditating on the Lord, a time of worship, at a church service or prayer meeting or at anytime God chose’s to bless you with His presence in this way. When I have these experiences… and I’ve had them many many times…they make me feel so good….like I can go out and conquer the world for the Lord. I feel like nobody can say anything to bring me down. I feel like Jesus is the Grand Marshal of the Rose Bowl parade and I’m riding with Him in the lead car and He has His arm around me and we are waving at the crowd. I feel so powerful like if I was crossing the street and a bus was going hit me I could put my hand out and stop that bus……Hey…I know….I’m getting carried away……scratch the bus thing. My point is it’s a powerful experience. 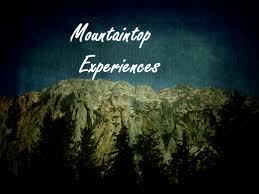 A mountaintop experience can lead to a personal revival, church revival and many other great blessing in the Lord. There is one really big problem with being on the mountaintop……it’s a nice place to visit….but you can’t stay there!…..Why…because there’s no McDonald’s, Starbucks and you can’t get a cell phone signal or Wi-Fi….Just kidding with you. The real reason is…. it cannot sustain life in the high altitude. The air in thinner and humans and plant life cannot survive. In our Christian walk…. 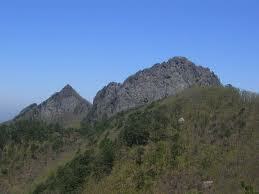 we will not grow either on continued or sustained mountaintop experiences. Our faith can’t be exercised so we will eventually become weak. So we must hike ourselves back down and assimilate ourselves into our regular everyday life and prepare ourselves for the Valleys times which I will discuss in my next blog. Message for today: Open your heart, mind and soul to the Lord….walk with the Lord close enough and you will have a mountain top experience with God. Seek Him….look for Him….wait on Him…..expect this from Him. He never forces His presence on anyone….so…..desire Him…..Let Him take you to……the mountaintop. Have you been to the Mountaintop Lately?